Event: Thu, Jan 18, 7 – 9pm. Conceptualised by Toronto-based multidisciplinary design practice, MSDS Studio, ‘Place & Thing’ is a striking, temporary intervention at Aesop Queen Street West. Inspired by a shared preoccupation for intelligent design and intimate environments, MSDS studio presents a series of custom lighting objects in sandblasted wood and mixed materials. Set against a backdrop of rippled aluminum, the lighting objects create a domestic tableau, referencing rituals of personal care through the abstracted forms of the sink, mirror, bowl, and other familiar items. 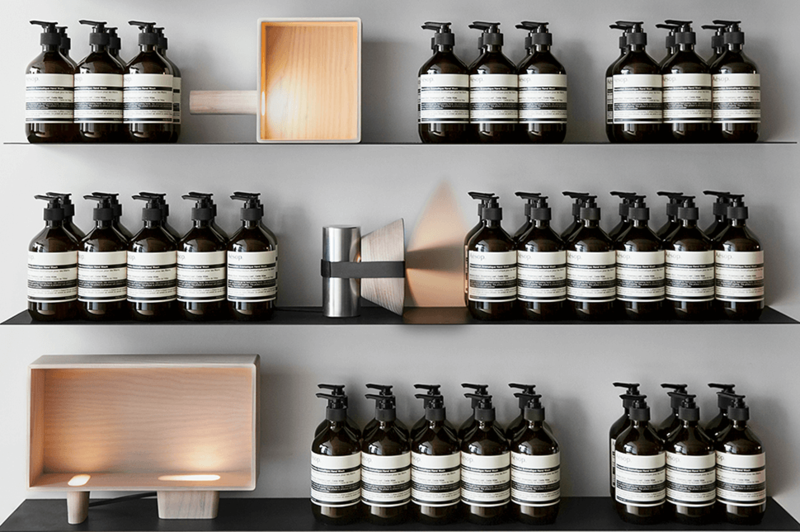 Each piece is fashioned in response to the sensory pleasure of Aesop’s in-store experience while referring to the colour, forms, and materiality of its products and spaces. MSDS Studio produces design that engages contemporary culture while adhering to the abiding principles of good design and craftsmanship. MSDS believe that interior space should act as a stimulating yet intimate interface between human and building. Aesop was founded in Melbourne in 1987 and today offers its superlative formulations in signature stores around the world. As the company evolves, meticulously considered design remains paramount to the creation of each space.